Let's make some strombolis and calzones! 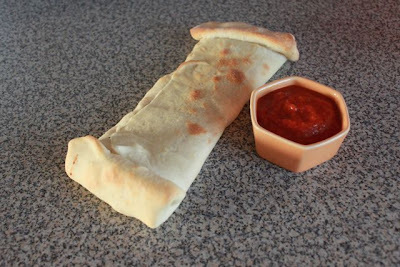 Strombolis and calzones start out the same way. You need a ball of dough that is about 3 inches in diameter. 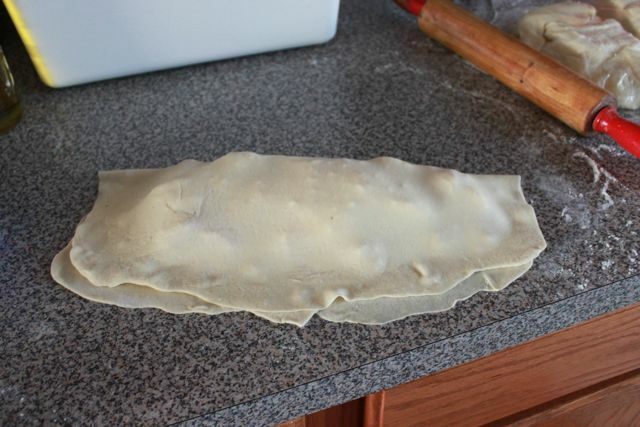 Then roll out the dough to a 14-18 inch circle. 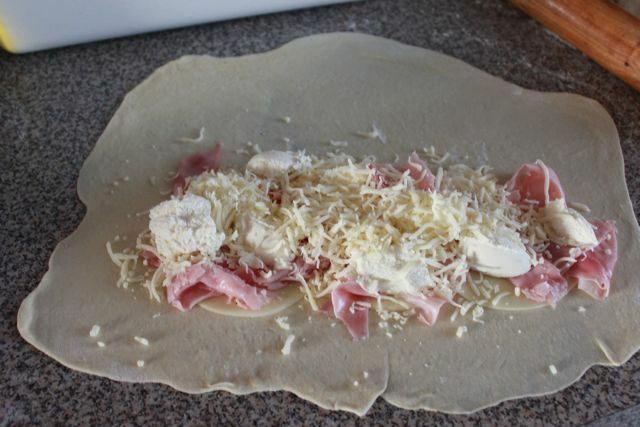 Top 1/2 of the dough with provolone cheese and ham. Then drop table spoons of ricotta cheese and top with some mozzarella cheese. 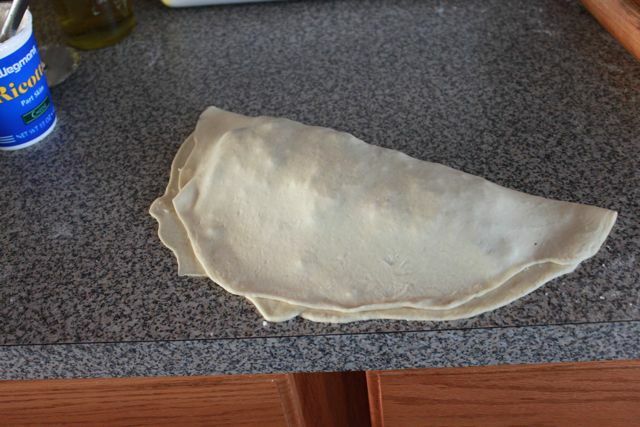 Fold the dough over top of the toppings making sure to press out all the air. 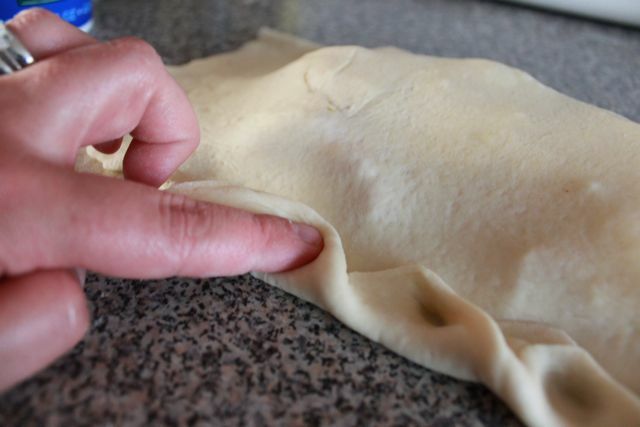 Fold the edge up and crimp it with your finger. Make sure there are no gaps, or your filling will leak out. Strombolis can be a half circle or rectangular. I think that when you are using sliced meats it is easier to do a rectangle. Plus this is how my Mom did it, so I do it this way too. 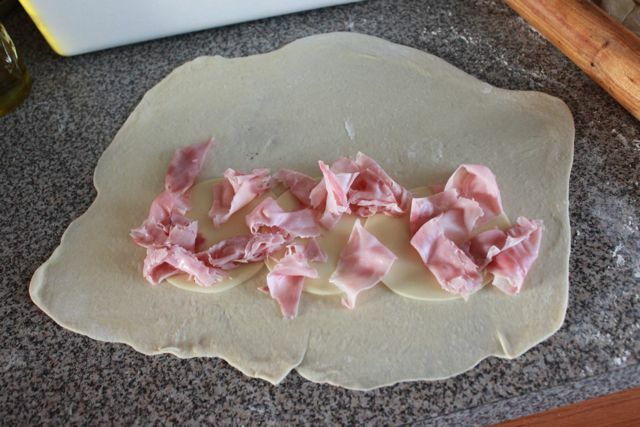 Top the center of your dough rectangle with sliced ham and then a layer of pepperoni. Next is provolone cheese and salami. Finally sprinkle the top with a little mozzarella cheese. 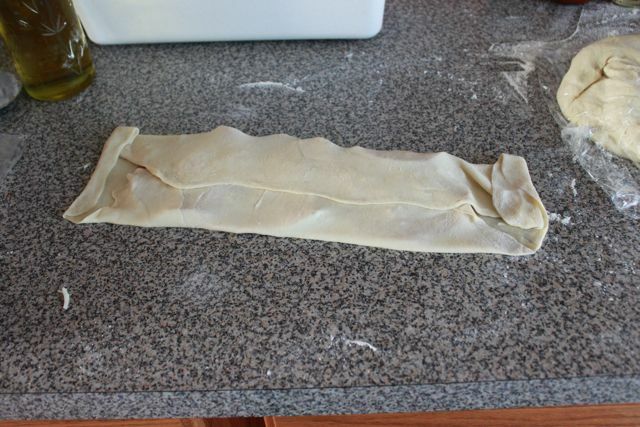 Fold the long side in over each other. 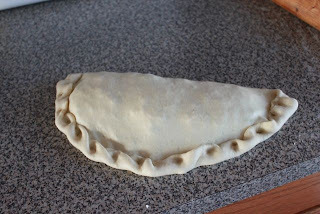 Fold the edges in 2 times. 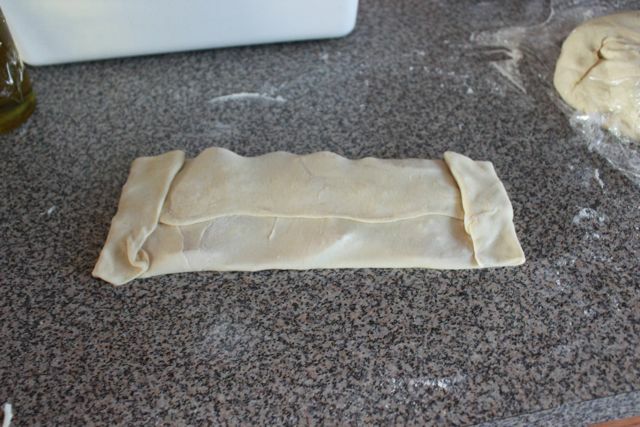 Make sure there are no gaps or there will be a mess in your oven! 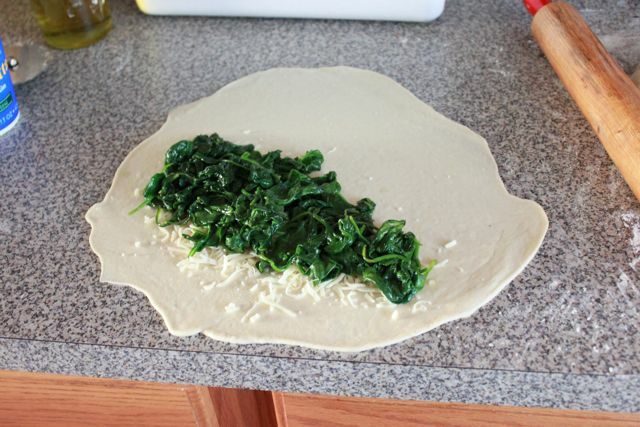 The pizza place by me calls this a Spinach roll, I call it delicious. 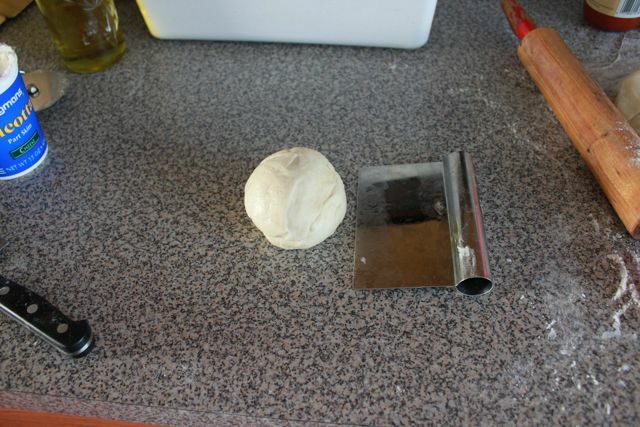 Start with a circle of dough rolled out. Top with mozzarella cheese. 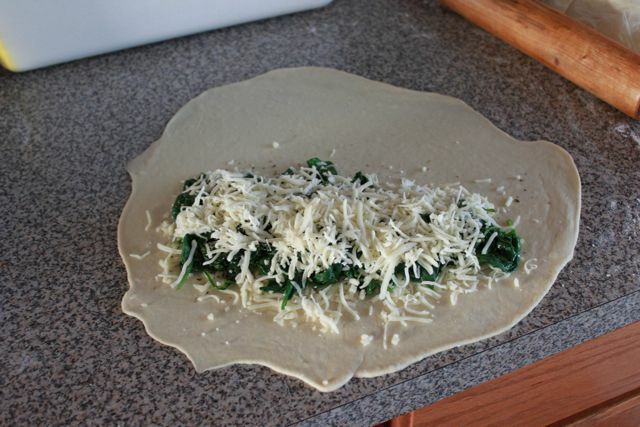 You can use frozen spinach that has been thawed and throughly dried out by squeezing the spinach in a towel. Or you can wilt some fresh spinach in some minced garlic and olive oil and a little red pepper flakes. I used fresh spinach here and i drained the excess liquid off. Both are great options. 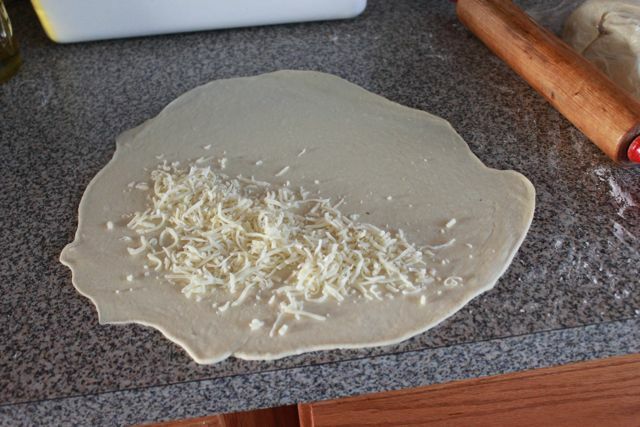 Top with another layer of mozzarella cheese and fold over and crimp the edges. Now we are ready to bake. 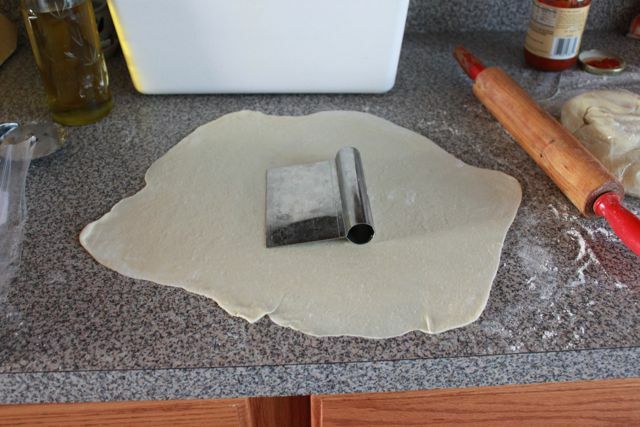 If you are baking a half circle, you need to vent the top. Poke 3 slits into the top with a knife. The rectangle doesn't need slits. Place the strombolis and calzones one at a time in a preheated 450 degree oven on a pizza pan or cookie sheet that has been sprayed with cooking spray. Cook for 12 minutes and then transfer to the pizza stone. Cook another 3-6 minutes until the outside is golden brown. 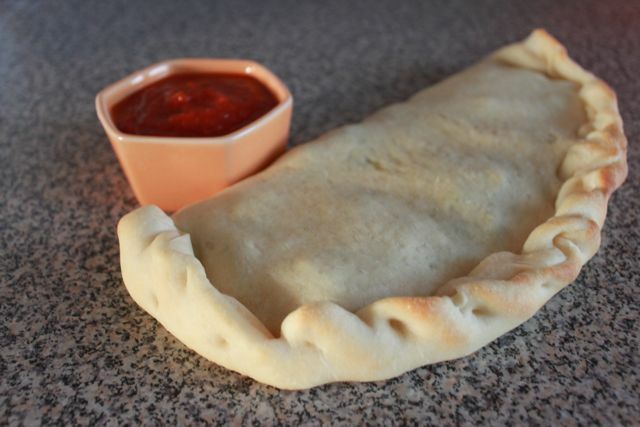 Slice into pieces and serve with pizza sauce for dipping. Look at all those layers of meat and cheese. 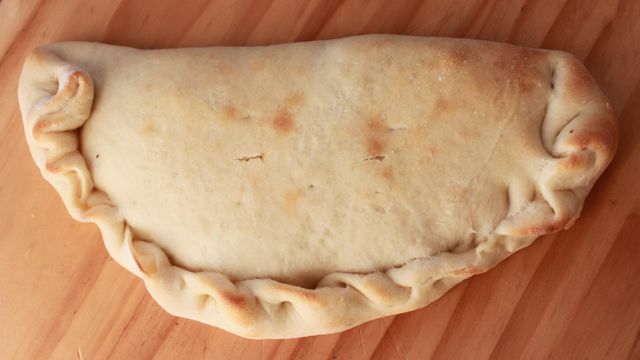 The ricotta is so creamy in the calzone. This is hubby's favorite. 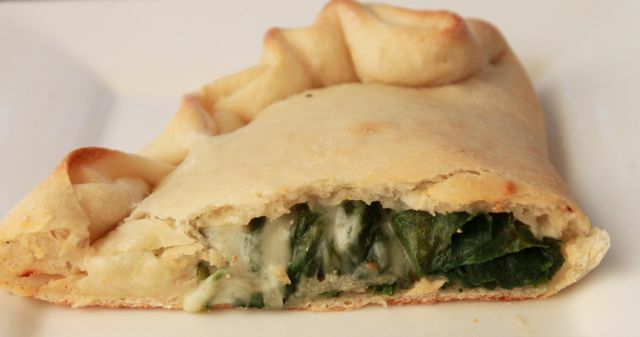 This is my favorite, I love how it is packed with spinach. There is only one more class in Pizza 101!